Jennifer is a fully qualified medical doctor who has practised in the UK, Australia and New Zealand. She spent several years in the Emergency Department and made the move to Mental Health in 2015. Jennifer is a passionate advocate for the use of game technology in the therapeutic setting. 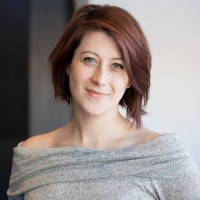 To this end, she founded CheckPoint, a nonprofit organisation to connect mental health care with video game technology, where she contributes to clinical research and works with both games industry and clinical professionals to provide education, consultation and resources.